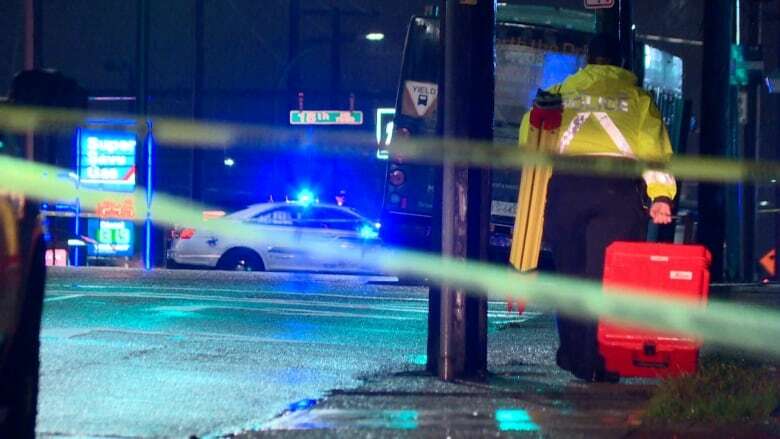 Police said a pedestrian was hit by a bus at the intersection of 6th Street at 16th Avenue Thursday evening. 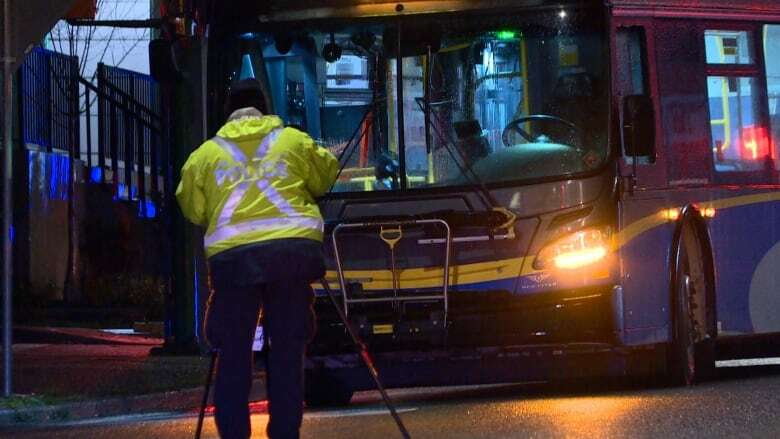 A pedestrian has died after being hit by a bus in the Edmonds area of Burnaby, B.C. on Thursday evening. RCMP said the crash happened at 6th Street and 16th Avenue around 7 p.m. PT. The pedestrian, a 22-year-old woman, was pronounced dead at the scene. The intersection was closed for several hours as investigators worked at the crash scene. The area reopened to traffic early Friday morning. In an email late Thursday, TransLink confirmed the bus was operated by the Coast Mountain Bus Company, its subsidiary, but declined to comment further. Police say don't pay bitcoin ransoms as wave of North American bomb threats hits B.C.